What do children between the ages of six and seven years of age know about tolerance to human diversity? 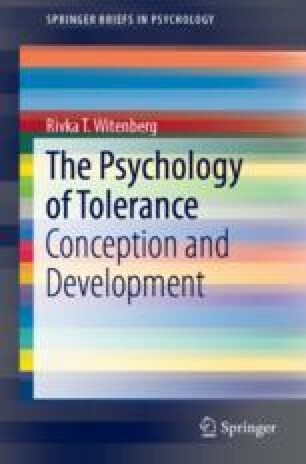 As suggested in the earlier chapters, what tolerance is and how to define it is rather difficult. Can young children aged between six and seven years conceptualise tolerance, make relevant judgements and justify them about others different from them? In other words, what are the reasoning patterns and underlying beliefs that children of that age use which guide their judgements and justifications in situations where they have to make a decision if something is right or wrong, good or bad?